Hey Guys! I know typically I do First Impression Friday, but today I wanted to do something a little bit different. Today I decided to do a quick Flash Back Friday! This week it is all about my little guys first few days of life. So here you go! 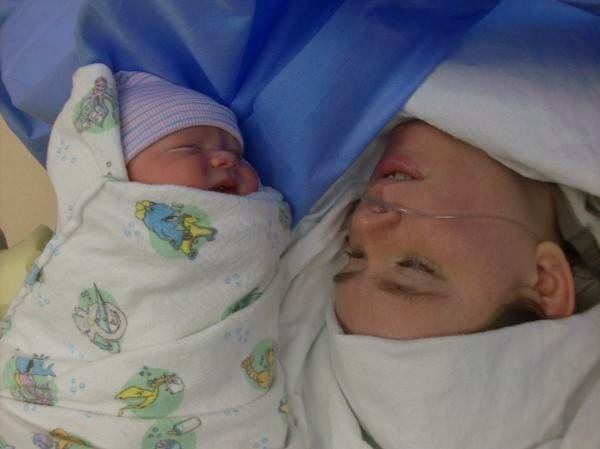 This was right after Matthew was born. This was the first time I got to look into his eyes. This was the moment my life changed forever. This was taken in the nursery right after he was measured and weighed. 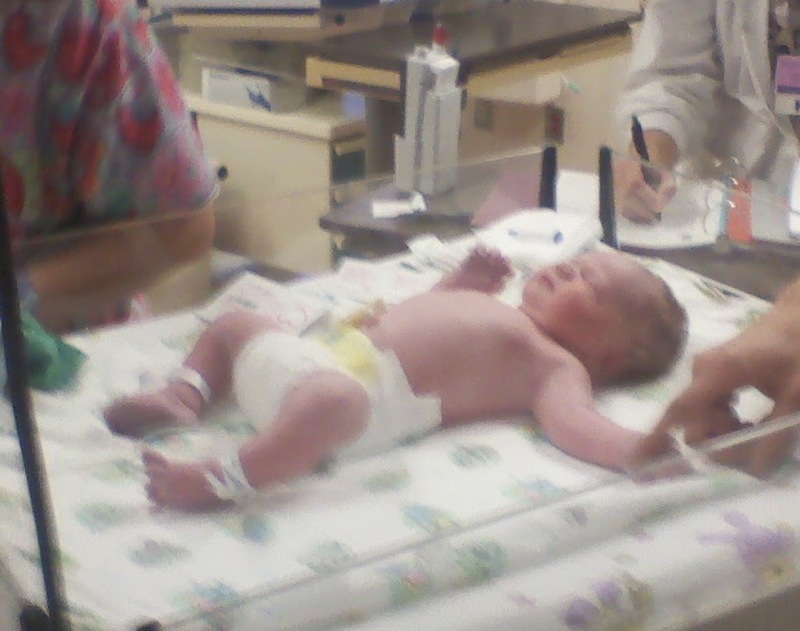 If you weren't aware he was 21 inches long and 8 pounds 5 ounces. 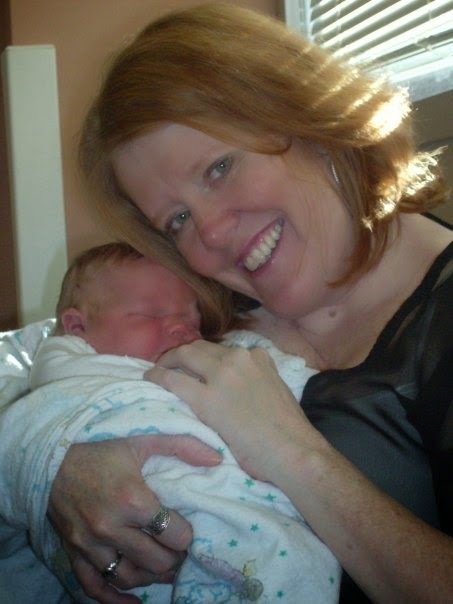 This is my mom with Matthew. 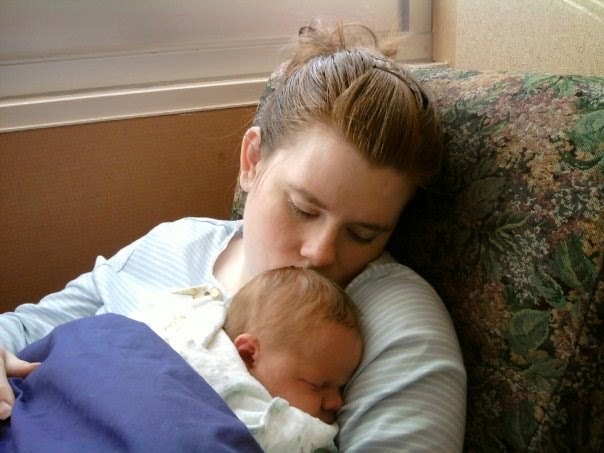 I believe this one was taken on Thanksgiving day, which is actually the day we got to go home from the hospital. This is my step-dad and Matthew. This night was the first night I met Bob. Me and my snuggle bug. I believe this was our second full day in the hospital. He and I sat in that chair almost the whole time snuggling under my big purple blanket. This is my dad and Matthew. 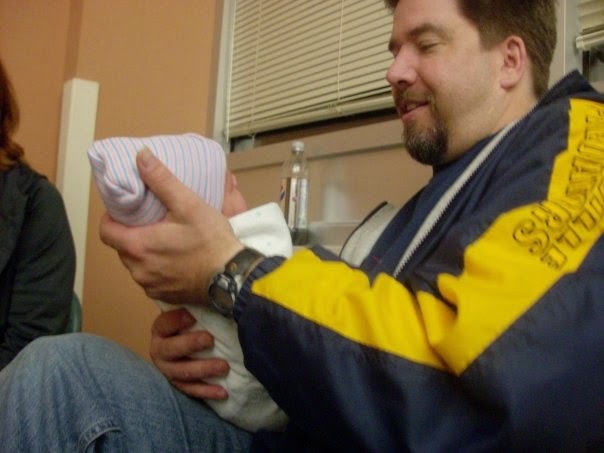 I believe he was less than 24 hours old when this picture was taken. 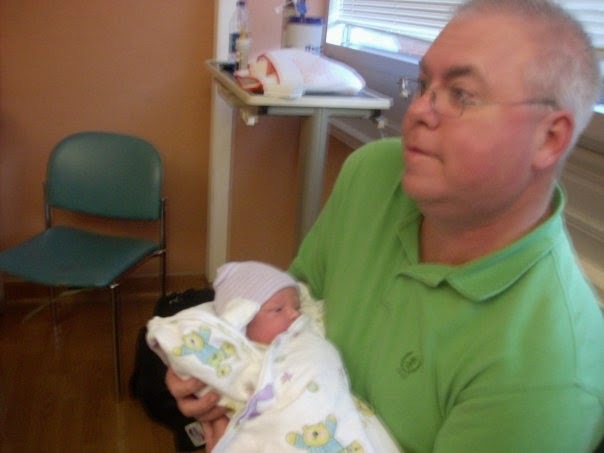 My dad was so glad to be a grandfather. Alright, there you guys go. A few pictures from Matthew's first days alive. Hope you guys enjoyed!